Changes are afoot that will affect the way that a Small Business pays Stamp Duty on their insurance premiums. 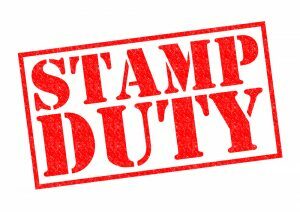 The NSW Government recently announced that it is going to exempt small businesses from paying Stamp Duty on certain insurance premiums from 1/1/2018. In order for a small business to take advantage of this a declaration will need to be signed by a director before paying the premium. The types of insurance selected for this exemption are quite limited but there are some potential savings to be had when buying Public Liability, Professional Indemnity and Commercial Motor Insurance. Working out whether or not you are entitled to this may appear complicated but there is help out there. In May 2017, the NSW Government announced that the Emergency Services Levy (ESL) was to be removed from insurance premiums and replaced by a property based model. This tax had been in place for many years and the rate ranged between 18%-38% of the premium. It was considered unfair by many as it disproportionately affected businesses based on their level of insurance. NSW was the last state to abolish the tax. In July 2017, the NSW government reversed this decision and the tax was reinstated. Whether or not the subsequent changes to Stamp Duty are connected to this reversal is not clear, although it would seem that the removal of one tax has been replaced with the reduction of another. It is possible that the process of declaration will become easier and at Acumen we are keeping a close eye on this and if there are changes we will let you know. • Has an aggregate turnover of less than $2 million. This is only a basic summary, the insured needs to refer to the definitions in section 259A of the Act to form a proper view or seek professional advice. Which insurance types will qualify for the exemption? • commercial aviation insurance for an aircraft that is used primarily for business purposes. Note: this is a summary of the types of insurance where the exemption will be available. For a full description, please refer to section 259B of the Act and information provided by Revenue NSW. Insurers will usually only apply the exemption if they determine the policy is affected. In some cases, only parts of the cover within a policy may be affected. See below for Revenue NSW views on the types of insurance affected. How to claim the exemption? To claim the exemption, a small business must provide an insurer with a small business declaration, being a declaration provided in a manner approved by the Chief Commissioner to the effect that the person is a small business at the time the contract of insurance is effected or renewed. Stamp Duty applies to all insurance premiums in NSW and the rate varies between 5%-9% of the base premium after GST. If you are by definition a Small Business, the $99 will be waived. Also see the Duties Act 1997 (NSW) and the Income Tax Assessment Act 1997 (Cth). This document is designed to provide helpful general guidance on some key issues relevant to this topic. It should not be relied on as legal advice. It does not cover everything that may be relevant to you and does not take into account your particular circumstances. It is only current as at the date of release. You must ensure that you seek appropriate professional advice in relation to this topic as well as to the currency, accuracy and relevance of this material for you.